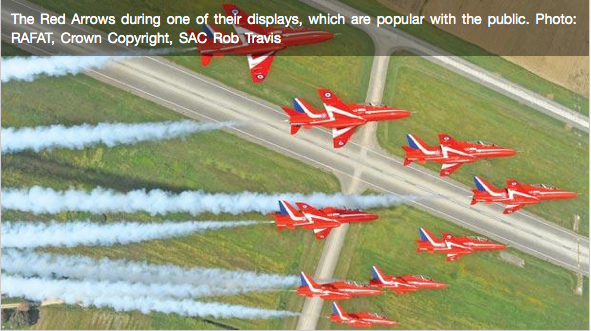 The Times of Malta: "On Friday, some of the finest pilots around the world will touch down on Maltese soil – The Red Arrows are coming. A worldwide guarantee for masses, the Royal Air Force aerobatic team’s The Red Arrows will be the main guests at the airX Malta International Airshow. Thousands of people are expected to attend this 21st edition of the airshow, most of whom will be carrying photographic equipment that will be used to capture the best possible shots of one of the fastest attractions on earth, in one of Malta’s most photographed event. Last Wednesday the organisers announced the participation of yet another aerobatic team, the Italian Pioneer Team, which has become one of the most requested in similar airshows worldwide...read on.